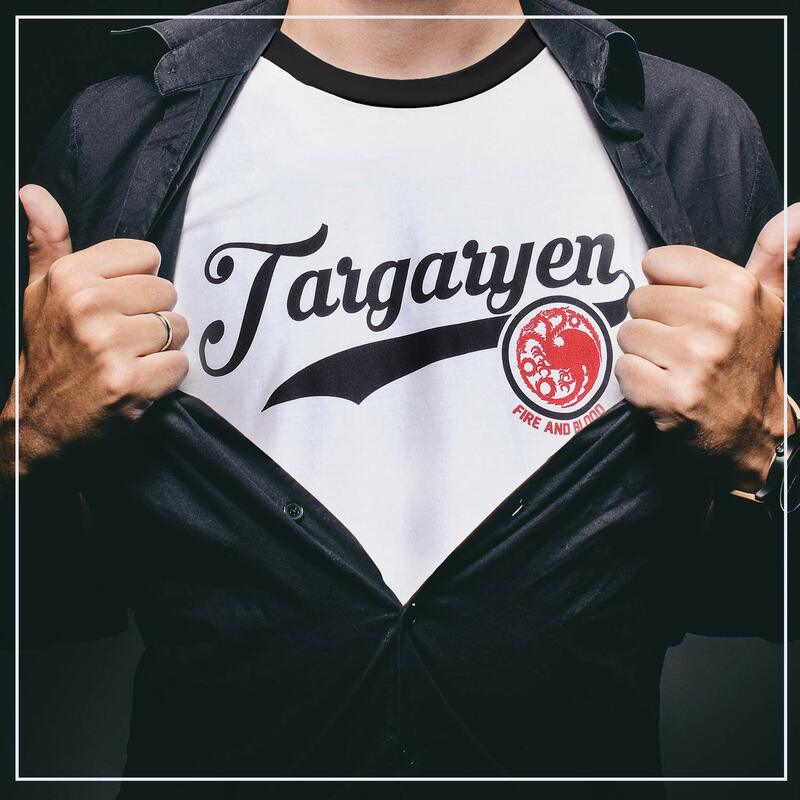 THE FAMOUS HOUSE OF TARGARYEN – The mere mention of Game of Thrones commands awe. 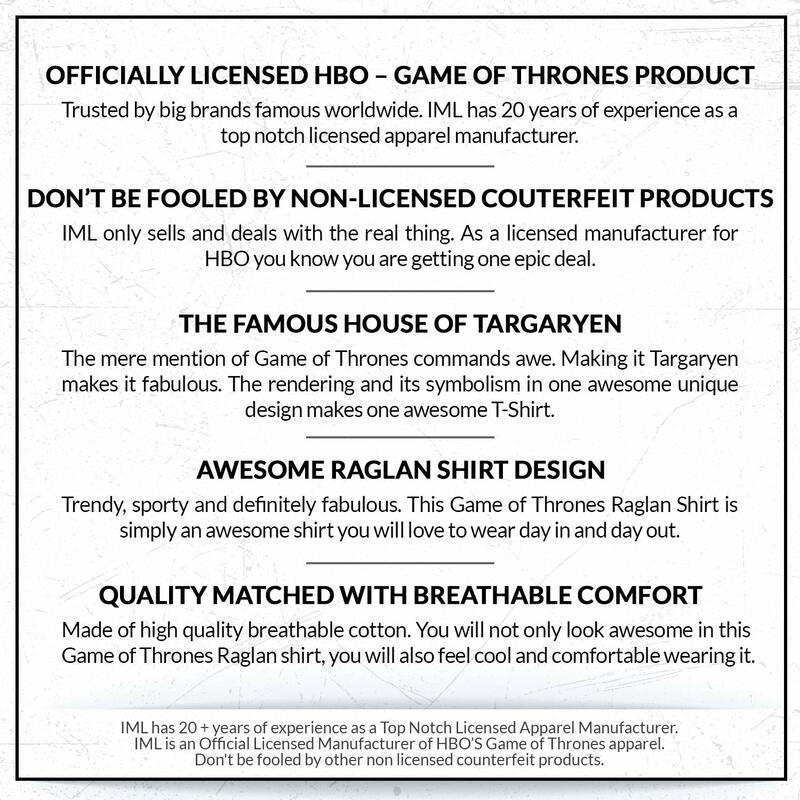 Making it Targaryen makes it fabulous. The rendering and its symbolism in one awesome unique design makes one awesome T-Shirt. 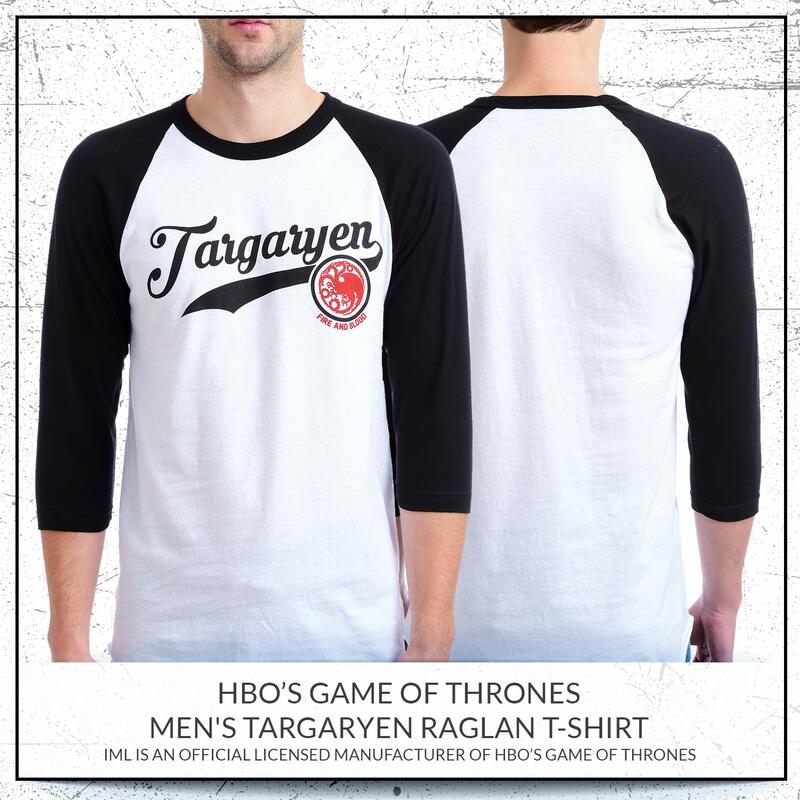 HBO’S Game of Thrones Men’s Targaryen Raglan T-Shirt and IML’s latest offering. Legitimately and officially by HBO’S Game of Thrones, one of HBO’s famous and successful drama series. 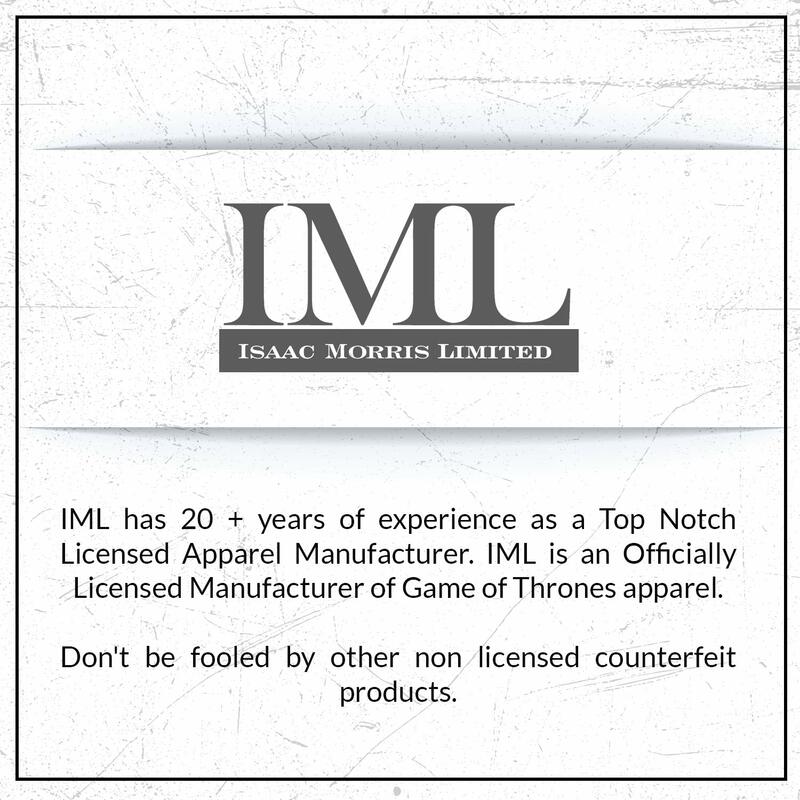 Made by IML a Top Notch Licensed Apparel Manufacturer with 20+ years of experience gives you one epic shirt! 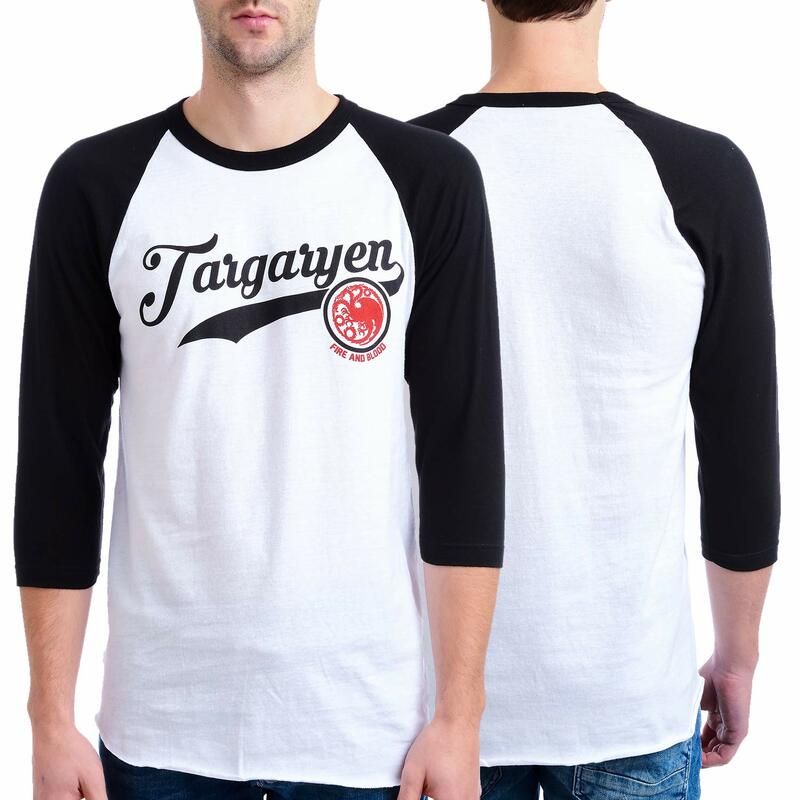 With a Raglan Design of the famous Game of Thrones series. This shirt is not only legendary but simply awesome! 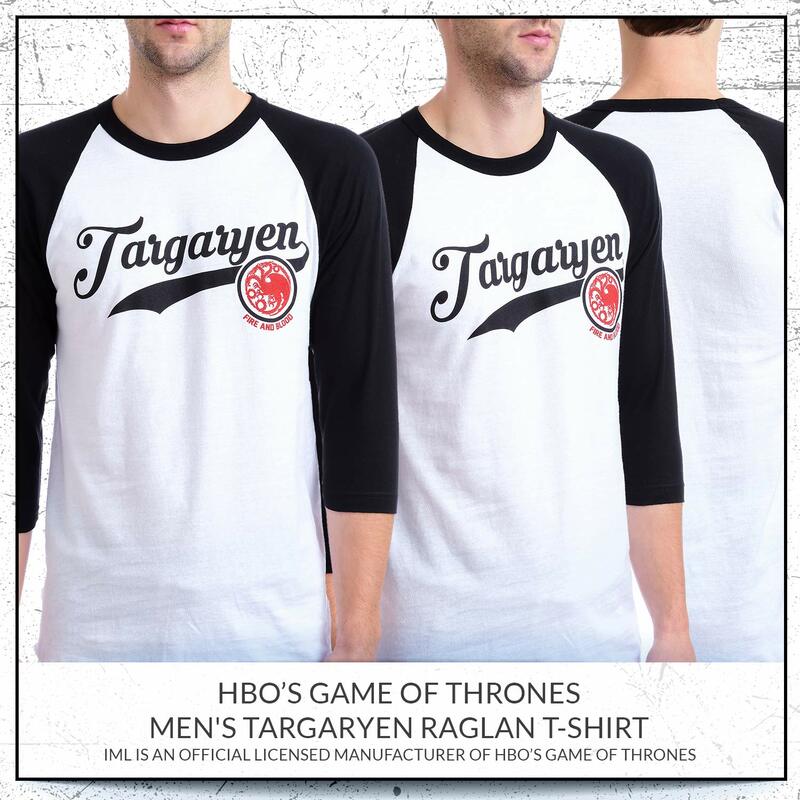 Made from soft high quality cotton, this HBO’S Game of Thrones Men’s Targaryen Raglan T-Shirt is definitely one awesome shirt! 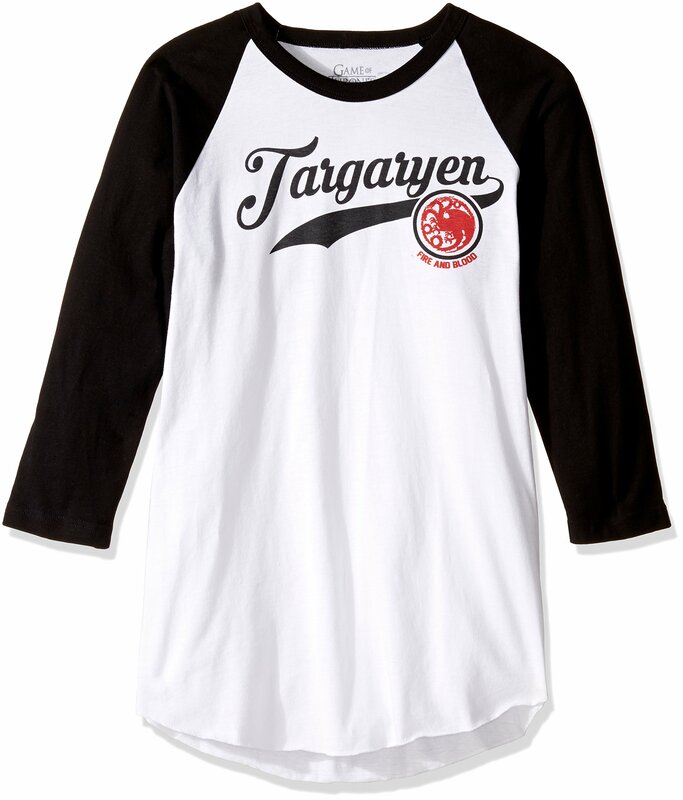 AWESOME RAGLAN SHIRT DESIGN – Trendy, sporty and definitely fabulous. 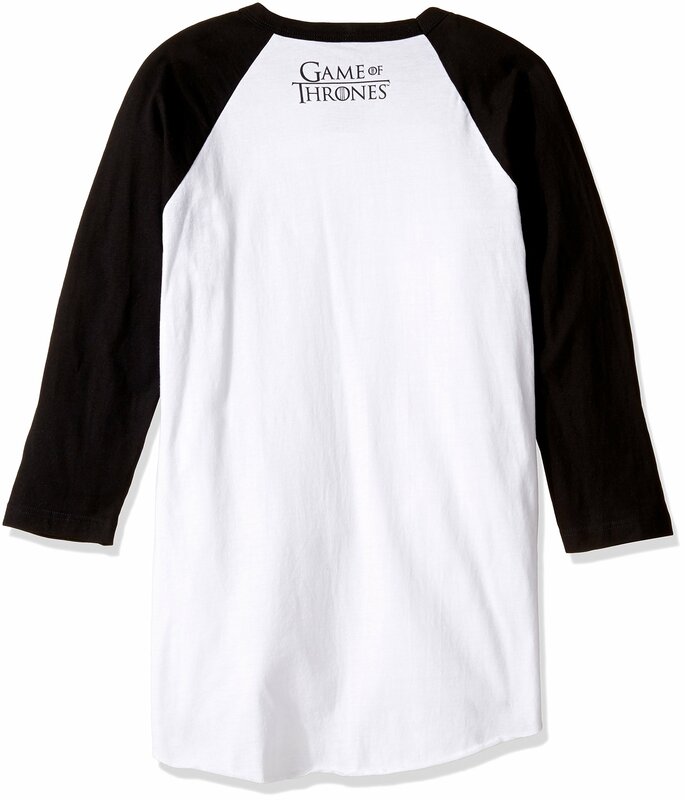 This Game of Thrones Raglan Shirt is simply an awesome shirt you will love to wear day in and day out. QUALITY MATCHED WITH BREATHABLE COMFORT – Made of high quality breathable cotton. 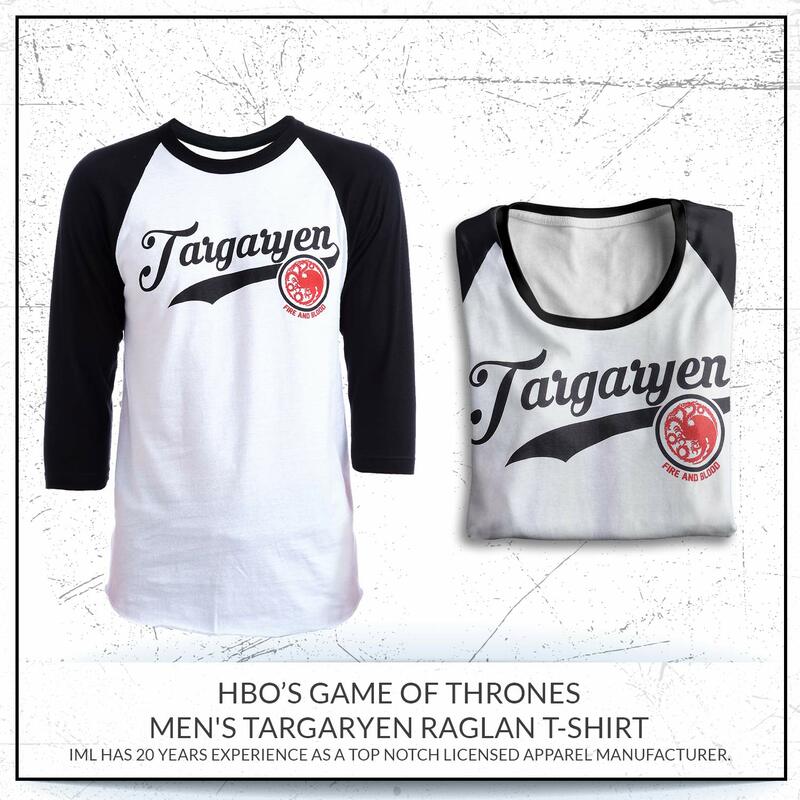 You will not only look awesome in this Game of Thrones Raglan shirt, you will also feel cool and comfortable wearing it.